Getting rid of a watch for whatever reason is never going to be a joyful endeavor. Whether it be because the watch is broken, or it has just fallen out of fashion, disposing of a watch is a sad and sometimes confusing experience, and with proper waste management finally becoming the norm, a lot of people have begun asking if the can recycle their old watches. The answer is yes, you can, and with a little bit of effort, you will surely find a new home for your old timepieces. Recycling old watches isn’t as simple as dropping it in the recycling bin on the curb, but always check within the community as they may already have a place where you can drop off old watches for recycling. 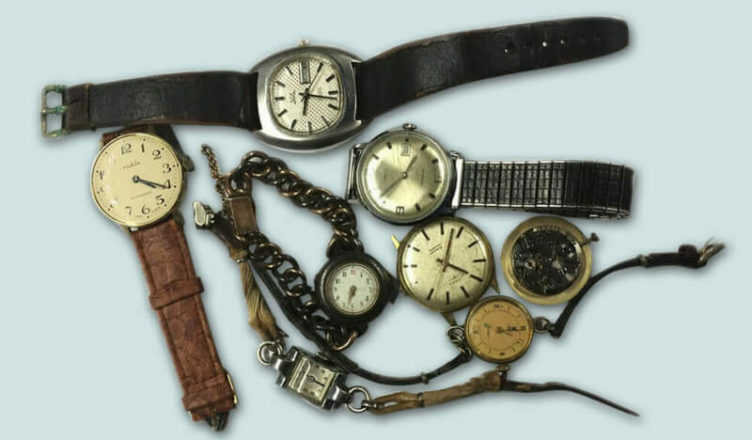 But if your community doesn’t have a program such as that, there are still many other ways for you to recycle the old timepiece, and listed below are just a few. It’s been a growing trend for watch manufacturers to take care of the disposal of their watches. Companies now take in their old and non-functional watches and take them apart to use all the pieces that are still working in new watches. This is a perfect way to recycle your old watch as even if they don’t have any pieces that can be recycled, the watch will go into the manufacturer’s disposal process, which is designed to dispose of the watches properly. Contact your watch manufacturer to find out more about their own recycling process. With the rise of digital and smartwatches, old-school watchmakers and jewelers may have a harder time finding old school watch parts, which they need since a lot of people go to their trusted local watchmaker for repairs of delicate pieces. Giving your watch to the maker would allow them to open the watch up and get all the parts that can be reused to repair other timepieces. If you find yourself at a loss and it seems like the only option is to throw the watch in the trash, consider donating it to charity. If the watch still works, there will surely be someone who will love to have a working timepiece, and if it is broken the watch can still be used for arts and crafts, or whatever creative use one can think of. Because when it comes to recycling, the possibilities are endless. Whether you decide to donate, give it to a watchmaker, or send it back to the watch manufacturer, you can smile and be happy that in one way or another, a new breath of life is being transferred to your once loved timepiece.